Delivering the Single Market Act - What are the Consequences for Professional Services? The European Commission is looking at the way the Single Market works in practice and in particular at what barriers still exist in Europe. On 27 February it published a “governance check-up” presenting a view of the results of the measures which have been taken so far and reporting on the efforts made since the adoption of the Single Market Act in April 2011. A number of these issues are key to property professionals and are priorities for CEPI. The European Council in January 2012 called for better governance of the Single Market and the governance report will feed into the Commission’s report due in June on possible means to enhance the implementation of Single Market legislation and improve its enforcement. The Commission has already tabled proposals for 10 out of the 12 key actions in the Single Market Act. Those proposals of particular relevance for property professionals concern the modernisation of the Directive on the recognition of professional qualifications, alternative dispute resolution and online dispute resolution and the revision of the standardisation system. The Commission has also been working on a number of complementary actions such as a proposal for a European contract law instrument. In the package published as part of the “check-up” the Commission has also included a new strategy for SOLVIT, putting forward 10 proposals to make it work better. SOLVIT is a network set up by national governments in the EU to sort out problems which citizens and businesses face in the Single Market by dealing with complaints. 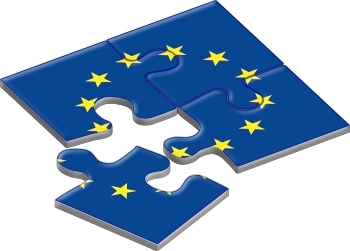 The proposals concerning it in the strategy include actions to boost its capacity to deal with breaches of EU law, ensure that SOLVIT centres have sufficient staff and legal expertise, improve the quality of case handling and reporting, increase awareness and make better use of information obtained from it. It is foreseen that the Commission will launch a new stage in the development of the Single Market by the end of 2012. Before the end of the year the Commission will take stock of the progress made in making the Single Market work better and will present its programme for the next stage. What does this mean for professional services? The services sector is very important to the European economy and also to its growth. As such it is central to the discussion on the Single Market which also includes the implementation of the existing Services Directive. It is still believed that further steps need to be taken to ensure that the Services Directive is properly implemented in all Member States and the Commission is currently working on a report on this Directive and efforts to open up services markets with recommendations for additional measures. On 14 February the Commission published a study “Providing an inventory of reserves of activities linked to professional qualifications requirements in 13 EU Member States and assessing their economic impact”. It reports on performance checks in 3 key sectors, tourism, and construction and business services, to assess how different pieces of EU legislation applying to services work in practice when taken together. Real estate services were included in this study which provides detailed information about different forms of regulation and the reservation of activities and seeks also to examine the economic effects of such regulation. The European Parliament has already made calls for a reduction in the number of regulated professions and the proposal for the modernisation of the Directive on the recognition of professional qualifications contains provision for the mutual evaluation by EU Member States of such regulation and its justification. This is likely to feature as an important issue in the discussions taking place now at the Parliament about the current proposals. On 20 February a joint letter from 12 heads of EU Member States was addressed to the President of the European Council, Herman van Rompuy, concerning a plan for growth in Europe, in advance of the meeting of the European Council on 1 and 2 March. It highlights that the current economic crisis is also a crisis of growth and calls for the development of the Single Market by reinforcing governance and raising standards of implementation. It calls for action to start in the services sector which now accounts for almost four fifths of the European economy including the making of recommendations for additional measures to fulfil the internal market in services. The letter also calls for further action to be taken to reduce the number of regulated professions in Europe, with a tough new proportionality test to be set out in legislation. In particular it requests the Commission to convene without delay a new forum for the mutual evaluation of national practices to help identify and bring down unjustified regulatory barriers, examine alternatives to regulation which ensure high professional standards and assess the scope for further alignment of standards to facilitate mutual recognition of professional qualifications. CEPI fully supports the further development of the Single Market and regards the free provision of cross-border services as being important to the property sector and the European property market. However, in any debate about the regulation of professional services it is important to recognise the importance of ensuring the quality of services to the consumer. If looking at alternatives to regulation it must also be examined what support is available for self-regulation. Above all it raises the question of what common standards can be agreed to apply throughout the EU whilst respecting the principles of subsidiarity and the needs of both professionals and consumers. All of these points call for particular attention by the EU regulator in the coming months. It is important to ensure that there is a transparent debate with the full involvement of stakeholders about the consequences for professional services of the steps being taken to deliver fully the Single Market.